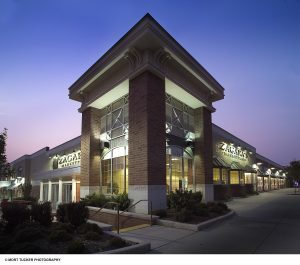 Zagara’s Marketplace is a family-owned and operated supermarket in Cleveland Heights, Ohio. For more than 80 years, we have provided quality foods, an easy shopping experience, exceptional service, specialized products and competitive prices to the Cleveland Heights community. The success of our store is directly related to our core values. We believe in high standards of integrity. We respect and are polite to our customers, our employees, and our vendors. We strive to provide the highest quality grocery products at fair prices. We value other people’s time and do everything we can to make our customer’s shopping trip easy and pleasant. Zagara’s Marketplace is proud to be a member of the Cleveland Heights community and is committed to supporting the organizations and businesses that make up this vibrant area. We are committed to providing exceptional customer service to our valued customers. This commitment starts at the top with President John Zagara, the third generation of Zagara’s to manage the store. John grew up working in the store as a young man. Upon graduating from Syracuse University in 1986 with a degree in accounting, John took a brief hiatus from the family business and worked as an auditor for Price Waterhouse and as Manager of Finance for MasterCard International in New York City. John returned to Cleveland and joined his father as an assistant store manager in 1993 and became president of the company in 1996. 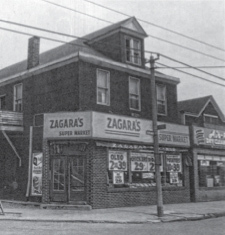 Pa Zagara (Charlie) opened his first grocery store in 1936 at 7001 Kinsman Avenue in Cleveland. 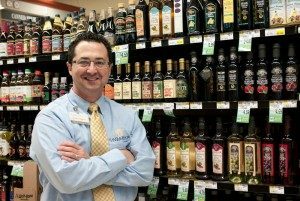 His youngest son Frank grabbed the reins in 1961 and today, Frank’s son John continues the proud tradition of offering a traditional supermarket with specialty foods and outstanding service to shoppers. Zagara’s Marketplace, now located at the corner of Lee and East Overlook, began serving the Cleveland Heights community in 1988.